Otto – The Autobiography of a Teddy Bear published in English for the first time by Phaidon. 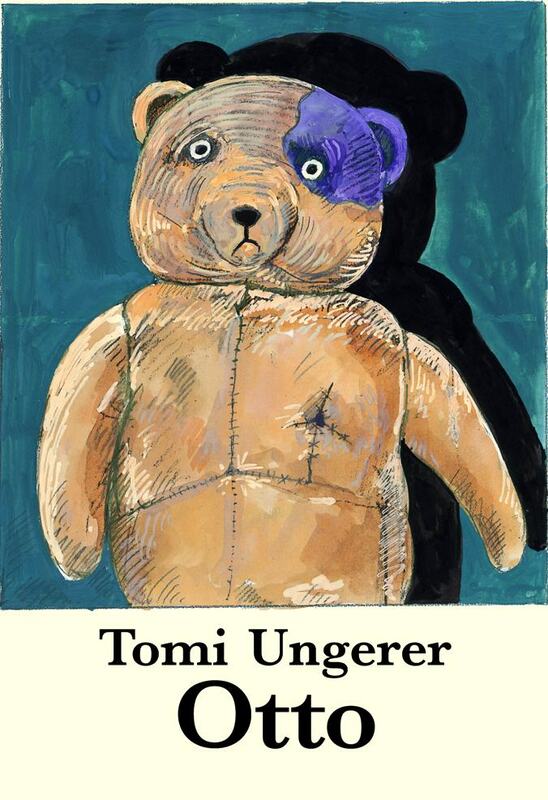 This childrens classsic is a powerful and beautiful book told first-hand by Otto, a German-born teddy bear who is separated from his Jewish owner, lives through World War II, and is reunited with his original owner 50 years later. This is an autobiographical tale of a teddy bear named Otto. Otto is a German-born teddy bear. His first memories are of being stitched together and being given to David, a Jewish boy living in Germany before WWII. David and his best-friend Oskar always play with Otto, using him for pranks, games and even teaching him to type on a typewriter. Life is a lot of fun for the Otto. However, one day, David starts to wear a yellow star on his jacket. He and his parents are soon carted away by men in leather coats and uniforms. David decides to give his dear teddy bear to Oskar. Many lonely days pass for Oskar and Otto. But even gloomier days soon arrive when Osakar’s father is drafted into the army and the bombings start. One day, a sudden explosion sends Otto flying through the air and into the middle a raging battle-field. The teddy bear is spotted by a soldier, but the moment the soldier picks Otto up, they are both shot through the chest. Otto and the soldier, an American G.I., are taken away to a hospital. In hospital, the soldier keeps Otto by his side. When he recovers, he pins a medal on Otto’s chest, saying that Otto saved his life, taking the brunt of the bullet. The story makes papers and Otto becomes a mascot of the soldier’s regiment. The teddy bear is then taken to America and is given to a sweet girl called Jasmin, the soldier’s daughter. But Otto’s new home and happiness is once again brutally ended when he is snatched away by mean and violent street urchins, who hit and trample on him and throw him into a bin. Otto is then picked up by an antiques dealer and taken to his shop. Years and years go by, until one rainy evening, when a bulky man stops and carefully examines the shop window. The man recognizes the bear instantly buys him. It is Oskar, Otto’s old friend. The story of Oskar, a German tourist and survivor of the war finding his teddy bear in America soon makes the papers. And the day after Otto’s picture appears in the paper, Oskar’s telephone rings: it is his old friend David. And so, the three friends finally reunite, sharing the sorrows and pains of war and living a peaceful and happy life together. Otto now keeps himself busy, typing the story of his life on David’s typewriter. Children will become attached to this loving, innocent protagonist, and will naturally be interested in his life story. 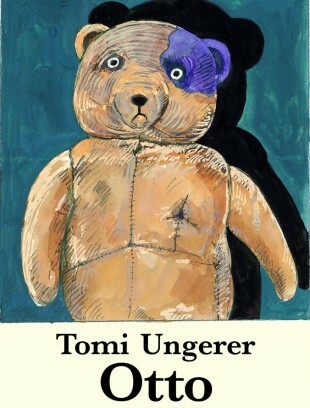 Tomi Ungerer deals with one of the darkest chapters of history and pulls off the challenge admirably. This tale will prompt reflection and important questions without causing undue fear.